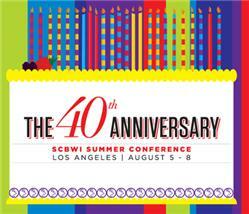 Here is some treasure I’m carrying in my pocket from this year’s SCBWI LA Conference. I'm still floating on a cloud of inspiration. 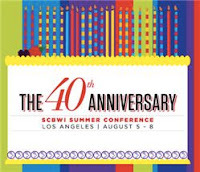 Sell the cat if you have to in order to go to SCBWI LA 2012. You'll never regret it. Cool. I love the quotes! Especially Libba Bray's. Leslie, this is awesome! It sounds like it was a bonanza of inspiration and practical nuts and bolts. Thanks so much for sharing this with us. Inspiration is much needed in this profession, sounds like you got lots of it! Julie - You'll have to experience it for yourself next year. Angelina - I am still doing major processing. So much awesomeness to take in. Prerna - The conference was completely uplifting. Loved the quotes! Thanks for sharing. I would have loved to go to the conference too! But it's really nice to read this now! :D thanks again! Oh, Leslie, these are so GOOD! Thanks for collecting them. LOL! It's so funny that we both decided to post about the conference at the same time. :D It was definitely chocked full of wonderful tidbits and inspiration. Glad I could share it with you. Monica - Your flight would be much longer than my drive to the conference, that's for sure! Susan - Me too. It revs up my own creativity. Color me jealous! Wish I could've gone... just couldn't afford it this time. These are awesome quotes! Thanks so much for sharing them. I love The Phantom Tollbooth! And of course Judy Blume... wow what a treat that must've been! Readers are not trends. They want a story full of heart and soul. I am spreading the word about your blog on my blog with the Liebster Award.